Network security is a topic that never seems to “get old” as there are new threats and stories we hear every day in the news and from local businesses about a breach or other security challenge that we need to be vigilant about. Threats are everywhere, even in places that we might not consider such as medical devices. Recently, the FDA started cracking down on medical device security to help protect patients who have this exposure. So how much security is enough or what are the right tools? Unfortunately there is no one right answer. A best practice in the IT industry today is using a layered approach to security called “Defense in Depth“. 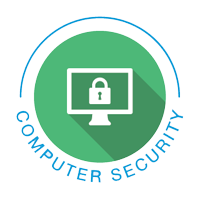 Additionally, some of the standards for endpoint protection include anti-virus and malware software as well as utilizing a strong password policy and encryption technology for any data that leaves the network. The most important thing to remember is that new threats and threat protection technologies are developed every day so you are NEVER done thinking about the security of your network and what you need to have in place to protect it. This entry was posted in *All Posts*, Employees, Information Technology, Leadership, Management, Security. Bookmark the permalink. ← What other options are there for business growth financing?